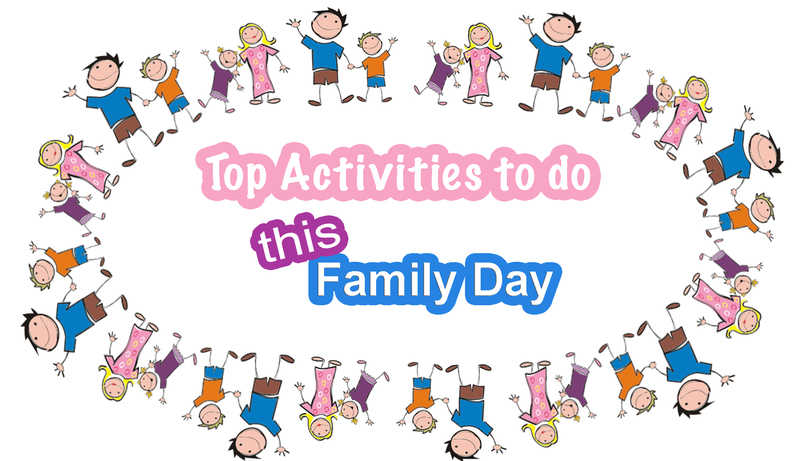 Unforgettable Ways To Spend Time with the Family…On Family Day! With the upcoming Family Day weekend, many people in Ontario are looking for something fun to do on one or more of the days of the long weekend. Great Wolf Lodge – Although some find it expensive, I know a lot of people like going to the Great Wolf Lodge in Niagara Falls. What better way to spend the weekend than right down at the falls, enjoying the view and making a splash? It’s perfect for people of all ages…after all, who doesn’t enjoy a good waterpark? Alternatively, there’s the Fallsview waterpark in Niagara Falls! Whichever you choose, book early! There is a good chance are that both of these options will be busy on weekends… especially the long weekend. Rochester, New York – I absolutely love visiting Rochester. They have an amazing outlet mall, and depending on what time of year you go they have a fantastic hockey team or Triple A baseball team. There’s a great waterpark, lots of restaurants, an amazing children’s museum (Strong Museum of Play) and the George Eastman Museum dedicated to photography and film. I like staying at the Hyatt because there’s an indoor pool, and if it’s a weekend, generally the rate is a bit lower. Deerhurst Resort – You could always escape to a northern resort like Deerhurst in Muskoka, where they have skating, fat biking, snowshoeing, and cross country skiing. They also accommodate kids, of course. To truly enjoy the winter wonderland that is northern Ontario, I suggest you and your family head up to Muskoka! Snow Valley – I’ve written about this place before, after visiting it for an afternoon of snow tubing. While I personally had a great time tubing, you can also try your hand at skiing, snowboarding, or snow shoeing. There’s smaller hills for kids and those who are just starting out, as well as lessons for first-timers. Snow Valley has a small chalet where you can warm yourselves up by the fire and grab something to eat before hitting the slopes. Skating Rinks – There are many skating rinks across the province…both indoor and outdoor. Here in Toronto, there’s a new outdoor skating trail which runs under the Gardner Expressway around June Callwood Park to the east of the Fort York Visitor’s Centre. Unlike your typical skating rink, this is a trail, where skaters can skate between the pillars that hold up the highway, so it’s a little different than skating in circles. They also have regular entertainment throughout the week, if you want to take a break from the blades. Indoor Activities – If you don’t want to be outside, there’s lots of indoor swimming pools that are heated! In addition, if indoor activities are more your forte, go to an art gallery or museum. Have your tried trampolining? Hit up your nearest SkyZone and watch the kids have a blast, while you get in a great workout! I would also suggest Ripley’s Aquarium, where you can explore the deep sea while staying dry at the same time. That said, be forewarned that there’s usually long lines at the aquarium during the weekend or on holidays. Whatever you choose to do, have a safe and enjoyable Family Day weekend! Activities in Toronto, Cheap Activities in Toronto, Deerhurst Resort, Family Activities in Toronto, Family Day, Family Day 2018, Family Day Activities, Family Day Weekend, Great Wolf Lodge, Ripley's Aquarium, SkyZone, Snow Valley, Things to do in Canada, Things to do in Ontario, Things to do in Toronto, Toronto Ice Skating Rinks, What's open Family Day Weekend?